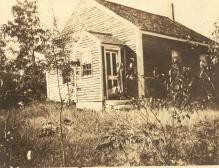 What Was a One Room Schoolhouse? Well, as the name suggests, one room schoolhouses are schools held in one room. They were usually in rural areas, and every town had a school. They could serve anywhere from 5 to 300 children at once, though most served about 15-30. School was taught from first through eighth grade. Some schools went on to even age 16, while others forced you to switch to a bigger high school in a town nearby. Teachers were usually women who had to be unmarried. They usually received about $25 dollars a month. They usually started at about the age of 15-17. Teachers would live with a family nearby in the town, and they had to have excellent character. They did not have to have finished high school, but instead took a test to show they knew enough information to teach. Eventually, schools were established for teachers to be trained, but they only received one or two years of training. Schools were originally established just to make sure everyone was literate. This was a great help to immigrates who wanted to learn to speak English. Teachers had to be an expert in every subject they taught, because they were the one source for knowledge. The only other resources were globes, maps and maybe a dictionary. There were very few books besides the ones students had. Usually, students would have a slate, slate pencil and textbooks they would share with siblings. Older students would have ink wells, pens and paper. Students learned reading, physiology, hygiene, spelling, arithmetic, penmanship, grammar and geography. Teachers were also expected to instruct in character development, and often give music class and art. What Did the School Look Like? The school had three areas: a schoolyard, coatroom and main room. Inside the schoolyard was any playground equipment, a water pump, the outhouse and either wood or coal storage for the stove inside the school. When you first walked through a one room schoolhouse’s doors, you would find yourself in a coatroom that was used for storing coats, hats and lunch pails. The main room was connected the coatroom. Inside, there were rows of student desks, a stove that provided all the heat for the school. At the front of the classroom was the teacher’s desk which stood upon a platform. There was also the recitation bench and a chalkboard. Usually schools had a few shelves of books, a flag and portraits of Washington and Lincoln. 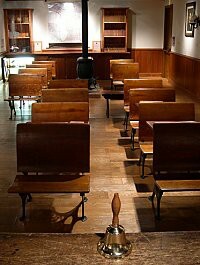 Most schoolhouses had to double as town halls or churches, also. Schools would be the center of social activity with Christmas pageants, graduation for eight graders and Halloween festivities. What did a Typical School Day Look Like? If you were lucky enough not to be needed at home to help with chores, you got to go to school. School had three terms every year, a summer, winter and fall. When you woke up in the morning, after doing your chores, you walked to the school. If you were lucky, it wasn’t a long walk. If you weren’t, you could end up walking up to 3 miles to get to school. Every morning, the teacher would ring the school bell and you would leave the schoolyard and come inside. The teacher would then call you up to the recitation bench by class and you would recite what you learned last night while you were studying at home. When you were not up at the recitation bench, you would be working figures, memorizing spelling or learning a lesson from your seat. The majority of the day was spent at your desk because the teacher had to instruct 1-8th grade. During the midmorning, you would be released to have recess and then again at noon. During the noon recess, also called lunch hour, you would eat the lunch you brought from home in a pail and then stored in the coatroom. Your lunch could include things like bread, cold meat, hardboiled eggs, pie, donughts, pickles or apples. Siblings would share a lunch pail. After you hurried through lunch, you would have time to play games with the other children who went to your school. Depending on the area, you could have lots of children at school or only a few. When you got back inside, it was back to working independently or busy work. Occasionally punishment would occur, and beating was allowed. Why Don’t We Have One Room Schoolhouses Today? The one room schoolhouse’s had many draws, which included the constant transitions of teachers, no regulated curriculum, and low attendance. Your education solely relied on how great of a teacher you had and how much they knew. There was no way for teachers to get help, including from books because many schoolhouses had horrible libraries. There was poor sanitation and no insulation in freezing winter months. Teachers were often too young, so discipline was hard to manage. 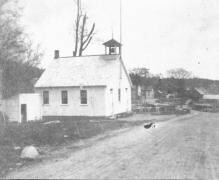 The era of the one room schoolhouse ended when John D. Philbrick convinced Boston to try graded schools in the late 1840’s. All over the country, schools were combined and became larger as transportation improved to move students farther away from home. However, there still are some one room schoolhouses today. In Duckwater, Nevada, there is a one room schoolhouse that has 15 students from kindergarten to eight grade. The nearest school is 140 miles away, and the nearest town 70 miles away. They use a lot of technology and peel off lessons that cause the teacher not to be the one source for knowledge, but instead the guide to learning. Would I Have Liked to Attend This School? 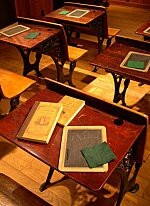 I think a modern day one room schoolhouse is almost what we are coming back to in schools today. With all the technology we have, teachers are now becoming facilitators to learning that is done online. If we did have all the grades in one room, we could cooperate more, however I do think I like the graded school system just because I get to be with peers that are at the same maturity level as I am, which is something you would not get in a one room schoolhouse. I think I would have liked to attend the school because I would like school in general no matter how it is presented to me. However, if given the choice, I would stay with a graded school system. "Beyond the One-Room Schoolhouse (1850-1877)." American Eras. Detroit: Gale, 1997. Gale Student Resources In Context. Web. 20 Sep. 2012. Country Schoolhouse- One Room, One Nation. Dir. Kelly Rundle. Perf. none. Fourth Wall Films , 2010. DVD. Kaesshaefer, Megan. "Tales from a one-room schoolhouse: yes, they're still around! And this 15-student school couldn't be more modern." Student Resource Center - Junior. Coppell High School, Coppell, Texas. Web. 21 September 2012. <http://find.galegroup.com/srcx/retrieve.do?contentSet=GSRC&resultListType=RESULT_LIST&sort=DocTitle&searchType=AdvancedSearchForm&tabID=T001&prodId=SRC-4&searchId=R1&currentPosition=&userGroupName=tlc109223619&docId=A253389200&docType=GSRC>. 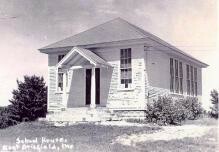 Otisfield's One-Room Schoolhouses. n.d. Web. 20 September 2012. <http://www.mainememory.net/bin/Features?t=fp&feat=65&supst=Exhibits>. Ross, John F. "School tales: letters home from a young teacher reveal life on the Iowa prairie, 1905-1906." Student Resource Center - Junior. Coppell High School, Coppell, Texas. Web. 21 September 2012. <http://find.galegroup.com/srcx/retrieve.do?contentSet=GSRC&resultListType=RESULT_LIST&sort=DocTitle&searchType=AdvancedSearchForm&tabID=T001&prodId=SRC-4&searchId=R1&currentPosition=&userGroupName=tlc109223619&docId=A259679750&docType=GSRC>.